Compressed Air Australia offers a broad portfolio of compressed air, piping, wastewater, and safety products for the mining industry. Compressed Air Australia offers high-quality, energy-conserving solutions that solve problems in industrial plants throughout Australia and the Pacific Islands. It supplies the food, pharmaceutical, manufacturing, mining, agricultural, pulp and paper, chemical, electronics / engineering sectors, and also commercial facilities with innovative solutions. The company’s products come from leading manufacturers, are high-quality, and have been developed in response to what customers have asked for. The wide range of EXAIR Intelligent Compressed Air® products is designed to maximise the efficiency of your compressed air resources. The engineered Super Air knife, Super Air amplifier and the family of Super Air nozzles are used to blowoff, dry, cool, clean, conserve energy, reduce noise levels, and drastically cut air consumption. EXAIR products meet OSHA safety requirements and are CE-compliant. EXAIR vacuums are compressed air-powered and have no moving parts that could wear out. Many types are available, such as the Reversible Drum Vac (a two-way drum pump for liquids), Dry Vac, Chip Vac (for metal chips and shavings), and HEPA Vac are rugged and designed for high cleaning capacity. EXAIR low-cost Cabinet Coolers are the ideal way to cool electronic cabinets with cold air. They prevent electronic failures and are widely used during the hot summer months. Unlike refrigerant air conditioners or fans, there are no moving parts to wear out. EXAIR static eliminators blow away static electricity and dust, and clean at distances up to 6.1m (20ft) away. They are the ideal way to eliminate dust clinging to product, material tearing or jamming, and hazardous shocks. PROTECT-AIR® products help companies comply with the stringent Australian Workplace Health and Safety Act directives, including ISO, OSHA and others, which apply to compressed air-powered equipment. Their products protect employees, machinery and equipment, as well as increase efficiency and assure cost saving production. The HoseGuard® air safety fuse offers efficient protection that immediately shuts-off the compressed air in the event of a broken air hose or pipe. With the In-Line series, use of compressed air becomes simpler, more effective and more economical. The series of regulators enables the user to supply any compressed air tool with the ideal air pressure to minimise air use and costs. PIPETITE® seals wall and ceiling penetrations while allowing for significant movement of pipes. Incorporating self-sealing lips that provide flexibility and eliminate the need to silicone the joint during installation, PIPETITE’s are manufactured from FDA-certified, hygienic, white silicone and can be adapted to fit most pipe or tube diameters, including pneumatic tube and electrical cable. The company endeavors to get your order out quickly. To help you get what you need now, significant amounts of inventory are stocked on-site. If there is a product not in stock, it will be delivered to you in a timely manner. Compressed Air Australia also buys in large volume and expects fast shipment from its suppliers. This further ensures the ability to respond to clients in real-time. 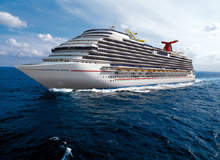 The company’s robust inventory control system and operations infrastructure provide added advantages. All clients are totally supported. When help is required, the sales and support representatives are extensively trained to provide assistance. They are equipped to recommend the best solutions for each unique situation, every time. After the sale, technical support staff will be glad to help you with free phone and email support regarding the installation, system add-ons, accessories, and more. EXAIR's new Hazardous Location Cabinet Cooler® Systems have been set apart from the competition by achieving the UL classified designation for Div1 environments. The Super Air Knife™ is the latest generation of engineered air knife that dramatically reduces compressed air usage and noise when compared with other blowoffs. EXAIR's compressed air operated Reversible Drum Vac System attaches quickly to any closed head 30, 50 or 110 gallon drum. Its high powered vacuum fills a 55 gallon drum in less than two minutes. Heron Resources’ flagship Woodlawn Zinc-Copper project is located within the mining lease SML 20, approximately 11km from Tarago, 48km south of Goulburn, 70km north-east of Canberra, and 239km south-west of Sydney, New South Wales (NSW), Australia. EXAIR’s new 2.5in (64mm) and 3in (76mm) 316 Stainless-Steel Line Vacs™ are powerful in-line conveyors that transport high volumes of material through ordinary hose or tube. EXAIR's new Soft Grip Back Blow Safety Air Gun uses the smallest back blow nozzle available to deliver a blast of air to effectively blow debris and liquids from inside small pipe or hose diameters, channels, bores, holes, internal threads and other internal part features. 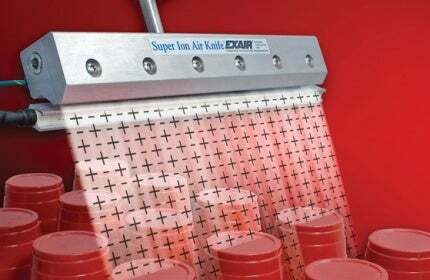 EXAIR's new Gen4 Super Ion Air Wipe provides a uniform 360⁰ ionised airstream that clamps around a continuously moving part to eliminate static electricity and contaminants. EXAIR's new Catalogue 32 is the source for compressed air savings and safety. EXAIR’s new Gen4 Ionizing Bar removes static electricity 25% better than previous models by eliminating larger static charges faster. EXAIR’s new Soft Grip Super Air Scraper™ is a safety air gun designed to help remove the most stubborn debris found within industrial facilities. EXAIR’s new 2.5in (64mm) and 3in (76mm) Heavy-Duty Line Vacs™ are powerful in-line conveyors that transport high volumes of material through ordinary hose or tube. EXAIR’s new 3/8in Super Air Wipe™ produces a 360° airstream that can blow off, dry, clean or cool the material passing through it. The split design can be clamped around continuously moving material such as wire, cable, pipe, hose and extruded shapes. EXAIR’s new 303SS Air Jets provide reliable and efficient blowoff and cleaning within corrosive, high temperature, or wash down environments. EXAIR’s new 1/8 NPT small External Mix spray nozzles atomise fluids up to 94.6 litres (25 gallons) an hour. EXAIR’s new corrosion-resistant Type 316 Side Mount Kits make the mounting of a NEMA 4X Cabinet Cooler possible when an electrical enclosure has limited space on the top or side. The compact Cabinet Cooler is a low-cost way to purge and cool electrical control panels, protecting sensitive electronics from heat, dirt and moisture. Sanitary Flange Air Conveyors ease installation and cleaning for chemical, pharmaceutical and food systems. EXAIR’s new VariBlast® Compact Safety Air Guns are a small and lightweight cast aluminium air gun capable of handling tough jobs. EXAIR’s new Gen4 Super Ion Air Knife eliminates static electricity 34% better at low inlet pressures, saving compressed air and money. EXAIR's 1/2 NPT internal mix 360° hollow circular pattern atomising spray nozzle atomises fluid and sprays away from the nozzle in all directions up to 4m (13ft) in diameter. EXAIR’s new Gen4™ Ionizing Point delivers a high concentration of positive and negative ions to neutralise static electricity without requiring compressed air. EXAIR's new aluminium 2.5in NPT and 3in NPT Threaded Line Vac Air-Operated Conveyors convert ordinary pipe into a powerful conveying system for parts, scrap, trim and other bulk materials. EXAIR’s new Catalogue 31 features new safety air guns, static eliminators, atomizing nozzles, air-operated conveyors, and digital flowmeters. EXAIR's patented 0.25in NPT No Drip Internal Mix 360° Hollow Circular Pattern Atomizing Spray Nozzle atomises fluid and sprays away from the nozzle in all directions. EXAIR's new Digital Flowmeters with wireless capability use a Zigbee® mesh network protocol to measure and monitor your compressed air use, trends, and historical data. EXAIR's new patented High Lift Chip Trapper™ offers a fast and easy way to clean coolant sumps, waste oil pits or wells. EXAIR's new Small 316 Stainless-Steel Cabinet Cooler Systems with electronic temperature control (ETC) keep electrical enclosures cool with -7°C (20°F) air while maintaining the NEMA 4X rating of the enclosure and resisting the heat that could adversely affect the internal components. EXAIR has unveiled its new Model 1004SS M4 Back Blow Air Nozzle, designed to deliver a highly concentrated, effective airflow for use in a number of cleaning applications. EXAIR's new 0.5in Siphon Fed Atomizing Spray Nozzle atomises a variety of fluids in a round spray pattern where no liquid pressure is available and heavy application of liquid is needed. EXAIR's new Ion Air Cannon eliminates static electricity and cleans at distances up to 4.6m (15ft), with no moving parts. It is ideal for bench-tops, machine mounting, and those 'hard to reach' spaces that require a concentrated flow of static eliminating ions. EXAIR has added smaller and larger sizes to the air operated 316 Stainless Steel Threaded Line Vac conveyor product line, which convert ordinary pipe into powerful in-line conveying systems for food products, pharmaceuticals and other bulk materials. The new Ion Air Jet from EXAIR removes static electricity, contaminants and dust from parts prior to shrink wrapping, packaging, printing, painting, or finishing. EXAIR's patented 0.25in No Drip Internal Mix Deflected Flat Fan Atomizing Spray Nozzle atomises fluid and sprays at a right angle to the nozzle orientation. EXAIR's new 303 Stainless Steel 3/8in and 0.5in Threaded Line Vac™ Air Operated Conveyors convert ordinary pipe into a powerful conveying system for parts, scrap, trim and other bulk materials. EXAIR's new Stainless Steel Plumbing Kits simplify installation of the Stainless Steel Super Air Knife by including all of the proper fittings and tube for hooking up to a compressed air supply. EXAIR's new 1/2in large external mix spray nozzles atomise fluids up to 1,147l (303gal) per hour. External mix nozzles are great where a high volume of liquid is needed. They can be used on liquids with a viscosity up to 800 centipoise (cP). Large external mix nozzles are available in a narrow angle flat fan pattern. They combine liquid and compressed air to create a coating of liquid that can be easily adjusted to meet the needs of your application. EXAIR's new 1in Back Blow Air Nozzle has been designed to effectively blow debris and liquids from pipe or hose inside diameters, axle housings, bores, holes, internal threads and other internal part features found in hydraulic cylinders, gear boxes, differential housings and more. EXAIR's new small 316 Stainless Steel Cabinet Cooler® Systems keep electrical enclosures cool with -7°C (20°F) air while resisting heat and corrosion that could adversely affect the internal components. EXAIR's 1/4 NPT internal mix 360 Degree Hollow Circular Pattern Atomizing Spray Nozzle atomises fluid and sprays away from the nozzle in all directions. EXAIR's new Ion Air Gun removes static electricity, contaminants and dust from parts prior to labelling, assembly, packaging, painting or finishing. EXAIR's 1/4 NPT Internal Mix Deflected Flat Fan Atomizing Spray Nozzle atomises fluid and sprays at a right angle to the nozzle orientation. This allows spray to be placed precisely where it is needed when the mounting and work areas are limited. EXAIR's new Model 9204 1in Swivel Fitting makes it easy to precisely adjust the position of our award-winning air nozzles. EXAIR has expanded Stainless Steel Long Super Air Knives to include a maximum length of 108in (2743mm) and is manufacturing all air knives 60in (1524mm) and longer, which used to be two pieces, in one piece construction that eases installation and saves space. External Mix Atomizing Spray Nozzles mix liquid and air outside the nozzle and allow the air and liquid flows to be adjusted independently. EXAIR's High Lift Reversible Drum Vac is ideal for the recovery of fluids, such as coolant, hydraulic oils, sludge and chips, waste water, tramp oil, and liquid spills. EXAIR's new 1/2 NPT internal mix atomising spray nozzles atomise fluids in a range of spray patterns and liquid volumes for a variety of uses. EXAIR's new ¼in Back Blow air nozzle has been designed to effectively blow debris and liquids from pipe or hose inside diameters, channel, bores, holes, internal threads and other internal part features. EXAIR's new aluminium 3/8in NPT and 1/2 NPT Threaded Line Vac™ air-operated conveyors convert ordinary pipe into a powerful conveying system for parts, scrap, trim and other bulk materials. Protect your most important assets, employees, machinery and equipment, with Protect-Air HoseGuard® from Compressed Air Australia. EXAIR's digital electronic temperature control (ETC) is now available for Dual Cabinet Cooler® Systems installed on large or high-heat load enclosures. An ETC Dual Cabinet Cooler system will keep electrical enclosures cool while minimising compressed air use. Independent laboratory tests now certify that EXAIR's Heavy Duty Dry Vac™ meets the rigorous safety, health and environmental standards of the European Union that are required to attain the CE mark. Siphon-fed, atomising spray nozzles require no liquid pressure and can be used with gravity-fed liquids or lift liquids from a siphon height up to 36in (91cm). Siphon-fed nozzles can be used on liquids up to 200 centipoise. EXAIR has expanded its Long Super Ion Air Knives to a range from 60in (1,524mm) through to a maximum length of 108in (2,743mm). EXAIR's Reversible Drum Vac™ and High Lift Reversible Drum Vac are ideal for the recovery of fluids like coolant, hydraulic oils, sludge and chips, waste water and liquid spills. EXAIR's new Mini Swivel fittings make it easy to adjust the position of its award-winning air nozzles. Using these Type 316 stainless steel mini swivels, even the mini Super Air Nozzles can be pointed exactly where you need it. EXAIR's new 1in high-power stainless steel flat super air nozzle produces a flat 1in (25mm)-wide airstream with a strong blowing force of 462g when mounted 12in (305mm) from the target. The unique design of this super-efficient nozzle makes it an ideal fit for both tight spaces and tight budgets. EXAIR's new PEEK Pico Super Air Nozzle™ has been engineered to produce the highest performance attainable from a tiny nozzle. EXAIR's digital flowmeters provide an excellent way to monitor compressed air consumption and waste. Now, with the addition of six new sizes, we make it easier than ever to measure consumption and identify trends at all of the critical areas or individual legs of a compressed air system. EXAIR has expanded its Long Super Air Knives range to include a maximum length of 108in (2,743mm) and is now manufacturing all knives of 60in (1524mm) and longer in one-piece construction. New one-piece construction ensures seamless airflow and eliminates coupling multiple short-length air knives together. EXAIR's new PEEK 3/8in Super Air Nozzle™ has been engineered to produce the highest performance attainable. The protective aerodynamic slots guide the airflow to a single point of convergence for hard-hitting force and dramatic noise reduction over typical blow-offs. EXAIR's new small NEMA 12 Cabinet Cooler® systems keep electrical enclosures cool with -7°C (20°F) air while resisting heat and dirty environments that could adversely affect the internal components. EXAIR's Long Ionizing Bars are available from Compressed Air Australia. The long length of the bars allows them to be used across large production lines, and the unique shockless design offers improved performance and reliability in industrial applications. EXAIR's new 205l heavy-duty HEPA vacuum is a powerful, HEPA-quality, industrial cleaner. The heavy-duty HEPA vacuum is designed to move more material with less wear. It has been engineered to filter contaminants to HEPA requirements in dusty environments that require frequent cleaning. EXAIR's new 1in high-power flat super air nozzle produces a flat 1in-wide (25mm) airstream with a strong blowing force of 16oz (462g) when mounted 12in from the target. Available from Compressed Air Australia, the unique design of this super-efficient nozzle makes it an ideal fit for both tight spaces and tight budgets. EXAIR's super blast safety air guns have always provided high quality performance for your blowoff, drying or cleaning needs. Independent laboratory tests now certify that EXAIR's Chip Vac™ meets the rigorous safety, health, and environmental standards of the European Union that are required to attain the CE mark. EXAIR's new 1" Stainless Steel Flat Super Air Nozzle™ produces a flat 25mm (1") wide airstream with a strong blowing force of 278g when mounted 305mm from the target. EXAIR's new PEEK Atto Super Air Nozzle™ has been engineered to produce the highest performance attainable from a tiny nozzle. EXAIR's new External Mix Spray Nozzles atomise fluids in a range of spray patterns for a wide variety of uses. They are particularly effective in applications where a high-volume of liquid is needed. EXAIR's new Heavy Duty HEPA Vac attaches to an ordinary 205 litre open top drum to turn it into a powerful, HEPA quality, industrial vacuum cleaner. EXAIR's new 205 Litre Premium Heavy Duty Dry Vac™ System is a rugged, industrial duty vacuum cleaner that has been engineered to rapidly vacuum high volumes of dry material. EXAIR's new 1" Flat Super Air Nozzle produces a flat 1" (25mm) wide airstream with a strong blowing force of 9.8 ounces (278 grams) when mounted 12" (305mm) from the target. The unique design of this super-efficient nozzle makes it an ideal fit for both tight spaces and tight budgets. EXAIR's new 54" Super Ion Air Knife neutralises static electricity while blowing away dust and particulates from printed surfaces, paper, plastics and three dimensional shapes. EXAIR's new Pico Super Air Nozzle™, at only 5mm in diameter, is one of the smallest available, providing precision blowoff with a directed high volume, high velocity airflow. In addition to producing a cold, quiet stream of air to reduce heat buildup on machining operations, EXAIR's Cold Gun Aircoolant System™ has also met the rigorous safety, health, and environmental standards of the European Union in order to attain the CE mark. EXAIR's 205-litre (44 gallon) Premium Chip Vac™ System offers a fast, easy way to clean chips or other dry materials from fixtures, floors and work surfaces of machining centers, lathes, saws, mills and other industrial equipment. It can easily be moved from drum to drum to keep different materials separate for recycling. Dusty materials, such as absorbents, are trapped by the 0.1 micron filter bag to keep the surrounding area clean. EXAIR's new Dual High Temperature Cabinet Cooler® Systems purge and cool overheated electrical control panels in harsh environments up to 93°C. EXAIR’s Super Air Amplifiers and Adjustable Air Amplifiers provide a fast, quiet, efficient way to move large volumes of air for the transport of smoke, fumes, or light materials as well as for venting, cooling, drying and cleaning. EXAIR's family of air knives (Super Air Knife, Standard Air Knife, and Full-Flow Air Knife) has always provided high-quality performance for your blowoff, drying or cooling needs. EXAIR’s family of Safety Air Guns (Precision Safety Air Gun, Soft Grip Safety Air Gun, and Heavy Duty Safety Air Gun) has always provided high quality performance for your blowoff, drying or cleaning needs.